BLOOMFIELD -- Ana Grace Marquez-Greene danced instead of walked, whether the music was in the air or just in her head, her family recalled at a funeral service at The First Cathedral church Saturday morning. And her passing was memorialized in the same manner with which the wild-haired 6-year-old had lived her much-abbreviated life: an energetic and musical celebration of life and love. The service even included performances by Harry Connick Jr., whom Marquez-Greene's jazz saxophonist father Jimmy Greene has played with, and "The Voice" winner Javier Colon. The funeral began with a candle lighting to remember the victims of the violent tragedy at Sandy Hook Elementary School that claimed the lives of Marquez-Green and 25 others. 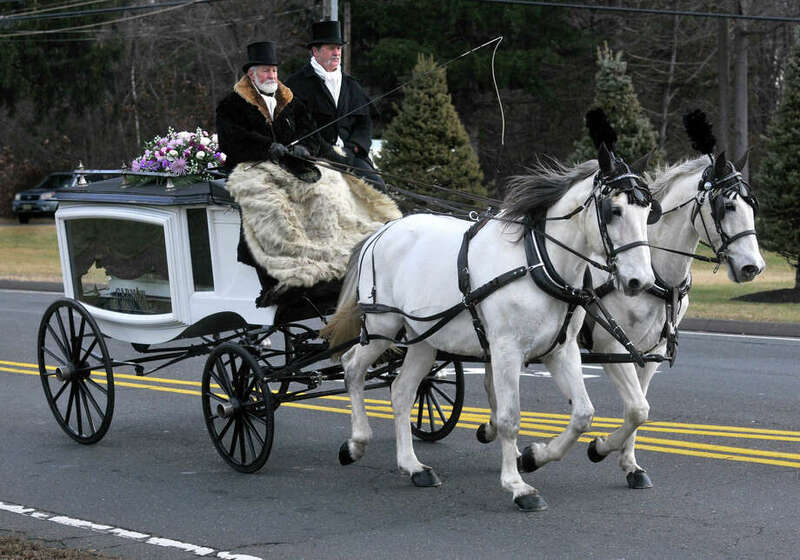 Her miniature white coffin arrived at the church in a horse-drawn carriage; mourners spent two hours filing into the arena-size worship hall for a chance to approach the coffin and say one final goodbye. But as much as a necessary sorrow hung in the air at Saturday's service, the overwhelming sentiment was instead a gratefulness to have known her during her brief life. Over 1,000 mourners assembled here, bedecked in vibrant shades of orchid and lavender, sequins and sparkles, befitting of the vivacious young girl they had gathered to remember. "We've come to celebrate Ana Grace Marquez-Greene," said Archbishop Leroy Bailey Jr. "The only difference now is that she lives in our hearts." Before the service began, speakers pumped out Latin jazz at dance-party volumes. Congregants rose to sway with gospel numbers or sing along, and laughed at memories of Marquez-Greene's escapades. "Today, we gather here to say that love has triumphed!" said Pastor Myrta E. Marquez, from Puerto Rico, in Spanish. Marquez-Green was a musical little girl from a musical family. The service reflected that, with home movies of Marquez-Greene performing numbers such as "I'm a Little Teapot" and "Dame la Mano Paloma" between sermons, swelling gospel numbers, classical music and jazz performances. "Ana had a song," said the Rev. Paul Echtenkamp, of Glory Chapel International Cathedral in Hartford "It just came out of her."